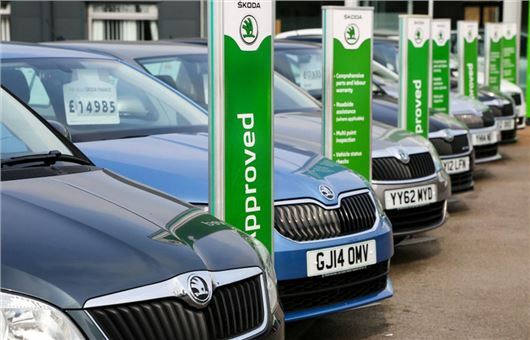 The used car market experienced a significant 13.5 per cent decline in Q2, with data from the Society of Motor Manufacturers and Traders (SMMT) showing that the second-hand market is now mirroring the downturn in new car registrations. Some 2.1 million used cars were sold during April, May and June 2017, which is 285,000 fewer than the same period in 2016; however, the much-anticipated collapse of diesel car sales failed to materialise, with falling prices and money-saving offers from dealers helping cushion the impact of the growing anti-diesel agenda. "We have already seen diesel prices falling, providing a fantastic opportunity for cash-strapped car buyers to purchase a diesel car at a discount." "There are now better deals than ever available on diesel cars," said Alex Buttle, director, car buying comparison website Motorway. "We have already seen diesel prices falling, providing a fantastic opportunity for cash-strapped car buyers to purchase a diesel car at a discount." Figures for the first half of the year show that a total of 3,966,356 used cars were sold, which is 5.1 per cent lower than the 4,181,042 cars sold over the same six months in 2016. During that time, 1.6 million used diesels have changed hands - a small -0.1 per cent year-on-year decline - while petrols notched up almost 2.3 million sales, which marks an 8.9 per cent decrease. Despite the negative numbers, Mike Hawes SMMT chief executive remains upbeat, stating that Q2's decline "comes as no surprise", while the overall market remains in good health. I must say that as a motor trader, this is not my experience. Private buyers will no longer touch diesels at any price. This is just diesel lobby hype.